Off the shelf replacements are available to suit all plant and machinery, from bespoke equipment to tractors, diggers and other industrial machinery and equipment. SGS technicians are familiar with a large variety of industrial machinery and can often provide replacement struts that are to a higher specification and at a highly competitive price. Here at SGS Engineering, we have off-the-shelf strut replacements available to suit all plant machinery, from bespoke equipment to tractors, diggers and other industrial machinery and equipment. Our technicians are familiar with a large variety of industrial machinery and can often provide replacement struts that are to a higher specification and at competitive prices. If you’re searching for replacement excavator or fork lift gas struts, then look no further than SGS. Whether you’re looking for JCB gas struts or CAT gas struts, we’ll have what you’re looking for on our online store. 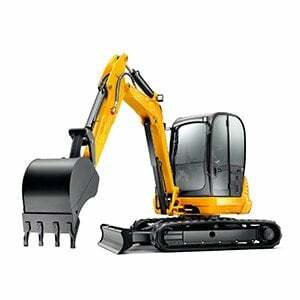 Our extensive range of plant machinery gas struts includes digger struts, fork lift gas struts and excavator gas struts. When you buy with us, you can trust that you’re buying high quality products that have gone through extensive quality and performance checks. Our gas struts are all UK-manufactured in our state-of-the-art facility in Derby to ensure that our products meet the highest standards possible, every single time. Discover our full range of gas struts in our online shop today and receive free next day delivery on any order over £100 (inc.VAT). If you’re unsure which plant machinery gas struts you require, don’t hesitate to get in touch with one of our strut experts today on 01332 576 850. Our team will be more than happy to help you find the perfect gas strut to suit the requirements of your plant machinery.